We would like to present to your attention friendly wisely RUSSIAN LUBOK TAROT DECK. A lubok is a Russian popular print, characterized by simple graphics and narratives derived from literature, religious stories and popular tales. Lubki prints were used as decoration in houses and inns. Early examples from the late 17th and early 18th centuries were woodcuts, then engravings or etchings were typical, and from the mid-19th century lithography. Lubok is not just a graphic genre; it has formed an entire culture around itself, which also includes skits and buffoonery — i.e. fairground theater performances (with clownade and harlequinade), the foolery of peddlers, market-place theater, and style poster. In this case, cheap popular prints or lubok can be perceived not only as a separate image but as a graphic sketch — a ‘still’ from a folk carnival or a fragment of a booth festival, halted in its dynamics. A lubok picture is an ‘image within an image,’ a sign of a sign, an increased measure of the convention, which transfers the viewer into a special game reality. All images in the Russian tarot deck Lubok are expressive; every detail has its own meaning. If you grasp the images and symbols inherent in the figures, you will not need to memorize the cards’ meaning. The artwork is stunning absolutely unique illustrations and tarot deck suits. 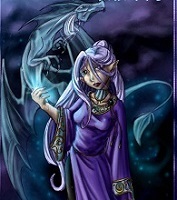 Many of the cards are so poignantly beautiful it`s easy to learn tarot fundamentals. You will love to use major arcana or full deck! It is easy to read for a beginner. It's a safe deck for shadow work, for working with our innermost fears and secrets. The art work style is simple traditional fairy tales makes a strong wise impact. I love Russian decks, I have Черное Tapo (Black Tarot). I just wish that google could help me translate the book, but can't, the english is all messed up. Same with the Swedish Jolanda deck. I did have a copy of the book translation and it wasn't all that great, and now i can't find that. But I so much want the translation of the book for this deck, it is my favorite. and this deck Сумерки. Тайна. Таро, all because of the Fool card.